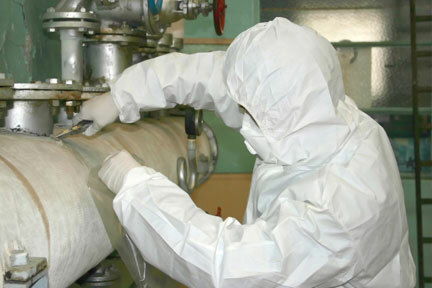 Our in house surveyors are fully qualified and experienced to carry out all aspects of asbestos surveys to allow you, the client, to comply with ‘the Control of Asbestos at Work Regulations 2012’. The type of survey required can vary from building to building therefore, flexibility is essential. Whilst ensuring that all surveys are carried out in accordance with current Health & Safety legislation, our surveyors are able to under take all surveys in an efficient, discreet and cost effective manner. We are able to offer a call out service to visit your site and take bulk samples of materials that you consider suspicious. Fast track analysis by a UKAS accredited laboratory will ensure that delays to projects are kept to a minimum. In all cases we will offer practical and concise advice on the most appropriate way to proceed. Once asbestos containing materials (ACM) have been confirmed you may book for our qualified estimator to give you a quotation for removal of the ACM. The quote will then be sent to you within 3-5 working days barring any complications. If you are happy with our quotation you may instruct us to carry out the necessary works as per quotation. We then may have to get clearance from the health and safety executive, due to the nature of the work, this usually takes approximately 2 weeks but can be more. Once we have this clearance we can then book for the ACM to be removed and disposed of.